By the start of 1885, the fifty-three year old Conant was enjoying the happy fruits of a long and distinguished career. He had been editor of “Harper’s” for sixteen years, and, for all anyone knew, would be at the popular journal’s helm for sixteen more. He was happily married, proud of his young son, and comfortably well-to-do. He had no known enemies, or serious troubles of any kind. On January 15, Conant spent a pleasantly uneventful evening at the Authors’ Club. The next day--a Friday--he went to work as usual, and towards evening, left his offices cheerfully telling his colleagues he would see them all on Monday. He and his son were about to go to Albany to spend the weekend with a fellow editor. He never made it to his Brooklyn home. His wife and son, knowing he had always been punctilious about appointments and keeping them apprised of his activities, became understandably frantic, and immediately suspected foul play. However, they were unable to find any sign of what had happened to him. Conant’s whereabouts remained a mystery until the following Wednesday, when a man matching the missing editor’s description pawned a watch in a shop in Coney Island. Conant’s son later identified the watch. The receipt for the transaction was signed “T. P. Stevens.” “T. P.” happened to be the initials of Samuel's son Thomas Peters, and “Stevens,” the maiden name of his wife Helen. Investigation revealed that the man who pawned this watch spent the night on the beach at Coney Island. He then struck up an acquaintance with a storekeeper, who invited the stranger to stay for dinner. The guest gave his name as Conant, the editor of “Harper’s Weekly.” He then went on his way, saying he was going to catch the seven o’clock train for Brooklyn. A man matching the description of the wandering editor was traced to a hotel in Long Island, but he checked out only an hour before the arrival of the detectives who had been put on his trail. And he has never been seen or heard from since. Some contemporary news stories gave the unverified claim that Conant had bought a train ticket to Florida, but that ticket was never used. 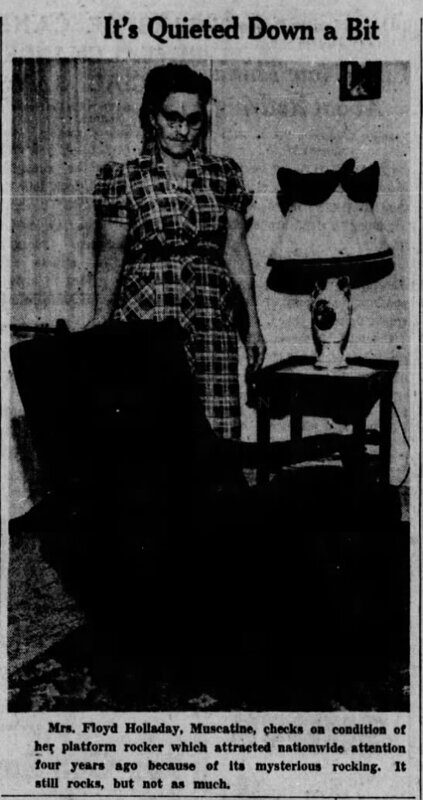 Conant’s desolate wife remained in their home, hoping against hope that one day he would return. Thomas Conant spent the rest of his life following leads all over the globe to find his father, but these clues were all fruitless. When he died twelve years after his father’s disappearance, Helen Conant was left completely unknown to suffer all the agonizing pains of uncertainty felt by anyone who has experienced the unexplained absence of a loved one. She died in 1899. It is hard to know what to make of all this. It seems most likely that Conant disappeared voluntarily, but if so, why? It is certainly true that he might have had troubles or dissatisfactions unknown to us, or even to his intimates, but it is still difficult to picture a man with a successful, congenial career and a loving family giving it all up for an uncertain future on his own. And if he did choose to abandon his life, why did he volunteer his name to that Coney Island shopkeeper, and continue to hang around New York, where he was almost certain to eventually be recognized? Also, he had no significant amount of money on him when he vanished, and there is no record of him having withdrawn anything from the bank either just before or after his disappearance. 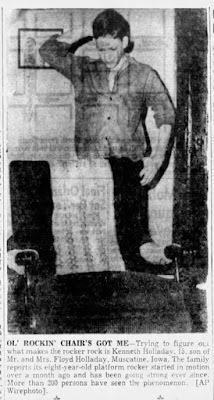 If Agatha Christie wrote this story, the solution to the mystery would probably be that the editor was murdered, with a lookalike staging “sightings” to give the impression Conant was still alive. But that sort of thing is unlikely in real life. 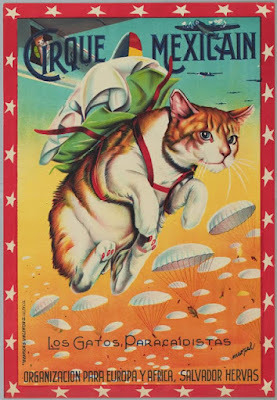 This week's Link Dump is sponsored by the Exalted Order of Parachuting Cats! What the hell is the Forrest Fenn treasure? How the hell did Florida get flamingos? Watch out for the White Dogs of Death! Watch out for the Batsquatch! Watch out for those underground monsters! Watch out for that haunted ice! Watch out for that maternal imagination! Watch out for those portals to Hell! Watch out for those aliens who need new heads! That time you could have Wellington knocking at your door. The man who--however reluctantly--beheaded Charles I. Is there a pyramid in North Dakota? A pre-Victorian guide to perfect posture. Madame Tussaud and the beheaded politicians. A brief history of gin. Including the time it was dispensed by a cat! A merchant ship uses boiling oil to fight off pirates. If you think this is a story from the 17th century, read on. China is taking the "fun" out of "funeral." NASA reveals a gravesite on Mars. The life of an 18th century actress. This week's "Neanderthals weren't all that Neanderthal" link. This week's "pushing back human plant history" link. A woman disappears on the Appalachian Trail. Never a dull moment in 9th century Mercia. The last woman to be legally hanged in Australia. The Devil and tort law. A remarkable Stone Age bracelet. Another illusion shattered: John Quincy Adams did not really own an alligator. The mysterious death of a Thai king. The execution of a Georgian brothel keeper. The man with a fairy foot. A piece of music that hid a coded message. The Countess of psychedelic science. The world's oldest boxing gloves. This week's Advice From Thomas Morris: Men, this is what not to do with a fork. Puffy, a cat that hypnotizes people, was named honorary President of the American Feline Society, Inc., today today and officially dubbed "King of All Cats." Citing the cream-colored Persian for devoting his "phenomenal psychic powers" to War Bond sales and entertaining wounded veterans, Robert Lothar Kendell, the society's President, declared: "We truly believe you to be the greatest living feline, with powers never before possessed by a cat or, so far as we can learn, by any living creature other than a human being." 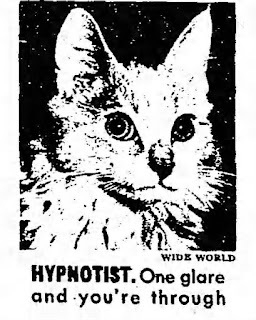 Puffy, credited with putting more than 300 persons into a hypnotic trance with his huge, unblinking eyes, was all puffed up over the honor, reported his owner-assistant, Arthur Newman, "He's autographing pictures with his paw print like crazy," said Newman. "Well, sir, that girl was simply out on her feet. It wasn't from drinking, either. I'm something of a hypnotist myself and I quickly realized that she was in a real hypnotic trance, brought on by Puffy's staring into her eyes." Thousands of servicemen in hospitals and canteens have seen Puffy perform. He stares into a subject's eyes while Newman slowly counts out loud. In less than 10 seconds the subject closes his eyes, goes rigid or relaxed, and has to be awakened by Newman. Skeptics to the contrary, Newman insists it's Puffy and not himself that does the hypnotizing. "If that cat could only talk," he says, "I'd quit working and just manage Puffy." People always feel better--headaches gone, and the like--after being hypnotized by Puffy, Newman says, because they have become relaxed in spite of themselves. Several have taken the pledge after watching Puffy do his act in a bar. This may be my blog's finest hour. Lydia Atley was born into a sad life, which makes her sad death tragically unsurprising. She was born in the small and largely impoverished English village of Ringstead around 1826. Her father, a miller, disappeared from her life early on, whether from death or desertion is not clear. Her mother was a pauper, meaning that from a very young age, Lydia and her sister were forced to scrape together a bare living any way they could. Lydia made simple lace, and did whatever errands and odd-jobs she could find in the village. It all kept her alive, but did little else. Nature did not give the girl any additional advantages. Contemporary accounts bluntly describe Lydia as exceptionally plain, slow-witted, and easily led. (This last characteristic was believed to explain how she came to have an illegitimate child of unknown paternity, who was placed in the local workhouse.) However, for all her difficulties, she was a good-natured girl who seems to have inspired a certain protective fondness from many of her peers. It was to arrange this aid that she met with Ball in his orchard on the evening of July 22, 1850—and there was indeed a row, although it was not like anything the poor woman could have anticipated. Groom, who was near the orchard at the time, later testified to overhearing a fierce argument between the two, culminating with Atley crying, “Get off me for I believe you mean killing me tonight, Weekly Ball. The lord have mercy on me, if I am going to die in the state that I am in.” He then heard an odd screaming sound. This was the last anyone knew of Lydia Atley. Her disappearance was a perplexing mystery, for at this point, Groom and the other neighbor were still keeping what they had heard to themselves. The local police made some attempts to investigate, and hand-bills were circulated asking for information about her, but these efforts proved futile. A local resident then received a letter from her son saying that he had just seen Atley in Northampton, and this was enough to make the authorities shrug and forget the matter. Admittedly, the lyrics weren’t exactly Cole Porter, but they had their effect. 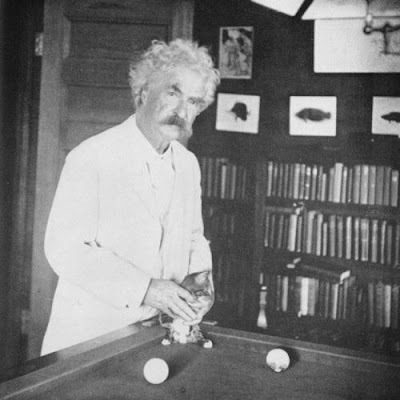 In 1851, Ball wisely packed his bags and moved to the village of Ramsey. Atley’s disappearance was never forgotten in Ringstead, but as the years went on, it naturally faded into the background. It was not until fourteen years went by that the missing woman was brought back to everyone’s attention. On February 4th, 1864, a local man was cleaning a dike. As he was digging, his spade hit something hard about two feet from the surface. It proved to be a human skeleton. Examination established that it was of a female, who had been buried for some years. The skull had a missing tooth. The citizens of Ringstead had been convinced from the start that Ball murdered Atley, and they felt they now finally had the means to prove it. They were quickly able to convince magistrates to issue a warrant for Ball’s arrest, and he was put on trial. There was a parade of witnesses with fourteen-year old memories. Groom and the other neighbors who heard the fight between Atley and Ball finally revealed their information. Another brother-in-law of Atley’s stated that, about two weeks before she disappeared, he had extracted one of her teeth—in the same place, he believed, where this skeleton was lacking a tooth. The man who had written the letter claiming he had seen Atley in Northampton now admitted that Ball himself had persuaded him to write it. The public was convinced that poor ill-used Lydia Atley would finally get some justice. And then, something unexpected happened that pulled the rug out from this seemingly air-tight case. In the spot where the skeleton had been discovered, another set of bones was unearthed. And then, in the very same place, another skeleton was found. And yet another. This sudden superfluity of skeletons doomed the prosecution. The case against Ball was withdrawn, and he triumphantly left the courthouse a free man, if not exactly one without a stain on his character. He returned to Ramsey, where he seems to have been considerably more popular than in Ringstead, and led a quiet and prosperous life until his death in 1896. Lydia Atley’s fate remains a mystery. Was Ball, as many people believed, a murderer, or did the unhappy woman commit suicide when she realized her lover refused to help her? In either case, where is her body? If Ball did kill her, how could he have disposed of her remains so quickly and thoroughly? Who were all those skeletons that were discovered in 1864? Was Lydia's among them? Unsurprisingly, Atley’s spirit was believed to be a restless one. Local legend describes her haunting the village for many years later. The more colorful accounts state that she would appear in front of amorous couples hoping to make a trysting-place of the area where she was last seen, as a way of warning other women not to follow her “immoral” example. This week's Link Dump sees another beautiful celebrity sponsor! What the hell happened in Olympic National Park? Watch out for the Bijli! Watch out for those bewitched hearts! A mysterious murder in early 19th century Iceland. A not-so-mysterious murder in early 19th century Louisiana. The strangest and creepiest ancient underwater tomb you could ever hope to see. The mystic shoemaker and Edgar Allan Poe. Dark days and a phantom town in Ireland. What the well-dressed suffragette is wearing. Hey, cats aren't the only animals who talk. A bit of real-life "I, Claudius." What to do if you get a cherry stone into your ear. Hey, such things happen. A guy put together 42,000 matches and did an awesome job of recreating what will happen the day our sun goes supernova. 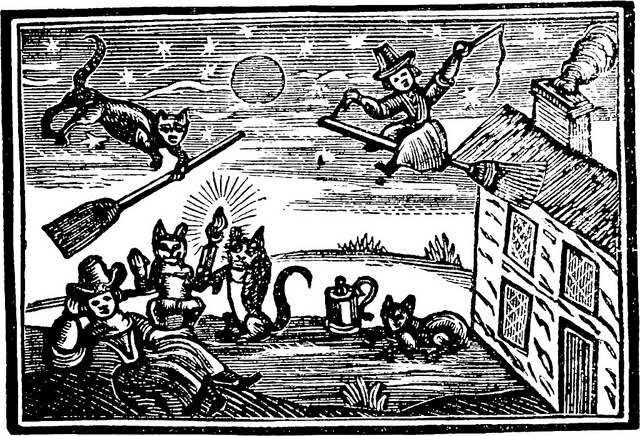 An Elizabethan tale of marriage woes and witchcraft. Melting ice is uncovering Norwegian artifacts. The man with too many wives. A literal kiss of death. A girl, a dog, and a remarkable reunion. That time they wanted to fill in New York's East River. A "monster of the deep." The last of the Lincolns. How alchemists gave us alcohol. William Parsons, who probably would have disagreed with the saying that any publicity is good publicity. The last of the pirates. The controversy surrounding a famed French writer. The romantic benefits of snail slime. Some 18th century French "firsts." The case of the Littlehampton Libels. That's all for this week! See you on Monday, when we'll look at an unsolved disappearance in an English village. In the meantime, surf's up! 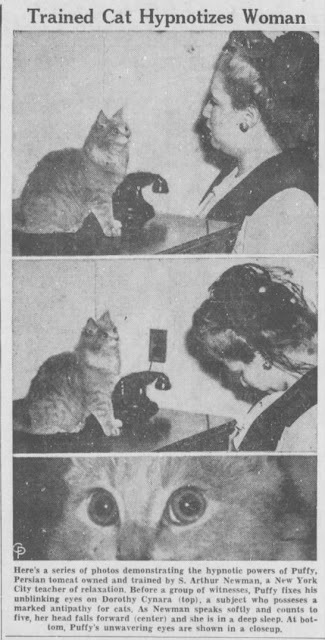 I don't know what says "A Strange Company Valentine's Day" more than this news item from the "Fremont [Ohio] News Messenger," February 14, 1976. Bullets sting a lot more than Cupid's arrows, so Michael J. Hubbard of Akron has decided to call off the wedding. Hubbard, 31, said Friday from his hospital bed he's decided his marriage plans were definitely off after being shot by girlfriend Rosie Moss, 33, three times in 16 months. Hubbard said the wedding was planned for today in Detroit, but he added, "I'm not getting married now. I'm no fool. I'm tired of getting shot." Hubbard, who said he and Miss Moss have been living together for several years, was resting comfortably in City Hospital here with a bullet wound in the right leg. He told police he was "coming home and she shot me.. .she put all my clothes in the back yard. I opened the door and got shot." Police told The Associated Press reports have been filed with them on each of the shootings, but Hubbard decided in each case not to press charges despite their recommendation he do so in the last two incidents. The first shooting, according to the police, was in November, 1974, when Hubbard was wounded in the neck. Police records show he was shot in the right forearm last July. Miss Moss' only comment on the couple's problems was "he tries to rule, and that don't go." Hubbard said the couple had been "getting along pretty well" since the second shooting, "but I'm moving out now." That was probably a wise decision. To be honest, I've never been able to say what my "ideal mate" would be like, but I'm pretty certain it wouldn't be someone who repeatedly sends me to the emergency room. One shooting, OK. You could write off a second as "just one of those days." Three such incidents, and you start to get the idea that maybe these two just weren't made for each other. 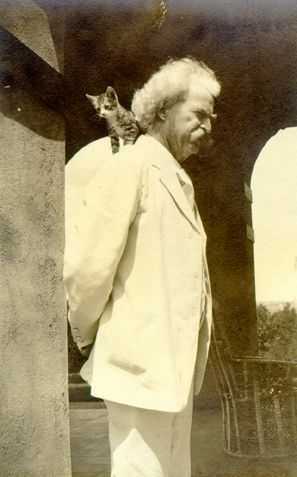 "For hundreds, perhaps thousands of years, people have carried on conversations with cats. Most often, these are one-sided and range from cloying, mawkish nonsense to topics of science and the liberal arts. Apparently Blackie's pride does not prevent him from making an occasional response to this great gush of human verbiage, much to the satisfaction and benefit of his 'owners.' Apparently, some cats do talk. Others just grin." ~District Judge Bowen, from his ruling in Carl M. Miles, et al., Plaintiffs, v. City Council, et al., Defendants, 1982. Few things make me happier than welcoming a talking cat through the hallowed gates of Strange Company HQ. If this particular feline also happened to shape legal precedent, even better. The plaintiffs in our little drama were Carl and Elaine Miles, "owners and promoters" of Blackie the Talking Cat. They challenged the constitutionality of Augusta's Business License Ordinance, claiming that it violated the rights of speech and association. In short, the city of Augusta insisted that Blackie, as a professional public speaker, get a business license, and Mr. and Mrs. Miles resented having to pony up the required $50. In their original 1982 suit, the District Judge Bowen ruled in favor of the city. ("The ordinance challenged by the plaintiffs is constitutionally valid depriving them of neither due process nor equal protection. The ordinance is a legitimate, rational means for the generation of revenue for the benefit of the defendant. It does not trammel the fundamental rights of the plaintiffs as guaranteed by the state and federal constitutions.") Carl and Elaine then brought their case to the United States Court of Appeals. 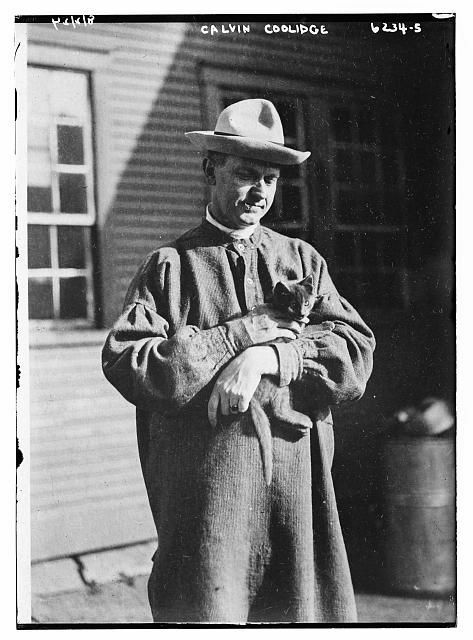 Carl's deposition was introduced into evidence, where he explained Blackie's origins and subsequent rise to fame: "Well, a girl come around with a box of kittens, and she asked us did we want one. I said no, that we did not want one. As I was walking away from the box of kittens, a voice spoke to me and said, 'Take the black kitten.' I took the black kitten, knowing nothing else unusual or nothing else strange about the black kitten. When Blackie was about five months old, I had him on my lap playing with him, talking to him, saying I love you. The voice spoke to me saying, 'The cat is trying to talk to you.' To me, the voice was the voice of God." Never one to quarrel with the wishes of the Almighty, Miles developed "a rigorous course of speech therapy" for Blackie. Carl explained, "I would tape the sounds the cat would make, the voice sounds he would make when he was trying to talk to me, and I would play those sounds back to him three and four hours a day, and I would let him watch my lips, and he just got to where he could do it. "He was talking when he was six months old, but I could not prove it then. It was where I could understand him, but you can't understand him. It took me altogether a year and a half before I had him talking real plain where you could understand him." As so often happens to even the most deserving talents, Blackie's nationwide fame began to subside. He was reduced to hanging out on street corners, soliciting contributions from passerby to hear him talk. (We are told that "Blackie would become catatonic and refuse to speak whenever his audience neglected to make a contribution.") 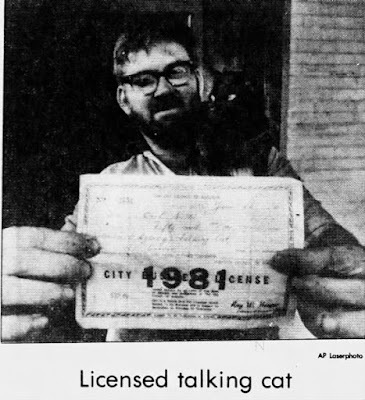 Some busybodies went to the Augusta police, complaining that Blackie had no right to act as a professional Talking Cat without the proper paperwork. The plaintiff's lawyer pointed out that "the Augusta business ordinance contains no category for speaking animals. 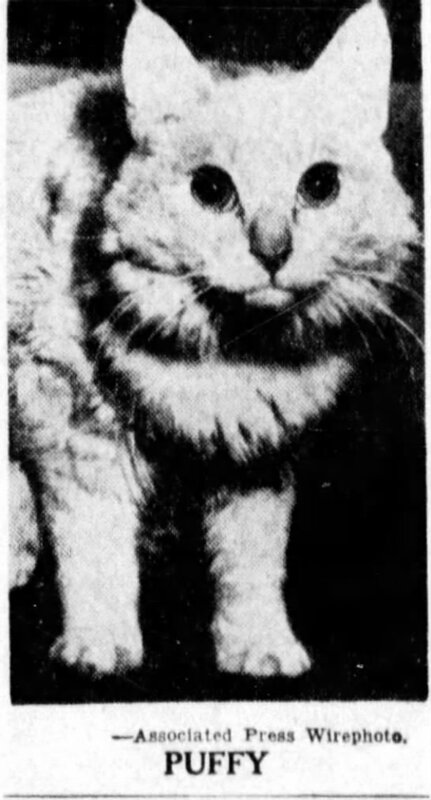 The ordinance exhaustively lists trades, businesses, and occupations subject to the tax and the amount of the tax to be paid, but it nowhere lists cats with forensic prowess." The Appellate court ruled against the plaintiffs. The judges pointed out that Blackie spoke in return for money, so therefore these "elocutionary endeavors" were indubitably commercial. In other words, Blackie was certainly a businessman...uh, businesscat, and therefore required a license just like any other Augusta entrepreneur. They also dismissed the argument that Blackie's right to free speech had been infringed upon. "[A]lthough Blackie arguably possesses a very unusual ability, he cannot be considered a 'person' and is therefore not protected by the Bill of Rights. Second, even if Blackie had such a right, we see no need for appellants to assert his right jus tertii. Blackie can clearly speak for himself." So this is how Blackie went into legal history as--to the best of my knowledge--the world's first officially licensed talking cat. Unfortunately, he failed to find the lasting fame and fortune he undoubtedly deserved. In 1989 Carl Miles developed cataracts, and he stopped publicly exhibiting his prized feline, although Blackie was still happy to chat with visitors to the Miles home. After battling multiple health problems, Blackie passed away in 1992 at the age of 18. Miles told a reporter that just before the end, the cat looked up at him and said one last time, "I love you." This week's Link Dump is again sponsored by a celebrity cat; namely, this presidential kitten. Who the hell made these ancient tools? What the hell happened to Princess Pamela? Watch out for those cursed houses! Watch out for those handfuls of dust! A peek inside the Winchester Mystery House. 18th century tips for cold and flu season. 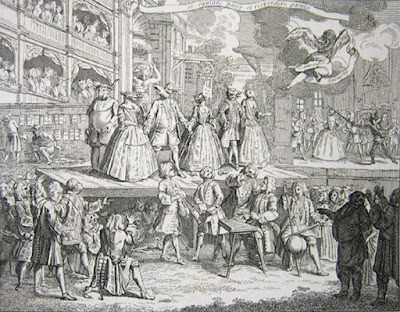 The life of an 18th century vicar. The sad tale of the Buttermere Beauty. The man who invented radio. Well, almost. In search of lost books. Have we found a habitable planetary system? All hail the King of the Cats! My kind of home, sweet home. A strange death in Pennsylvania: murder, suicide, or accident? The true story behind a famed centenarian. The true story behind Burt Reynolds' centerfold. The true story behind New Zealand's most badass photograph. The true story behind Britain's Cheddar Man. A disappearance in the Australian outback. A 19th century English miscellany. 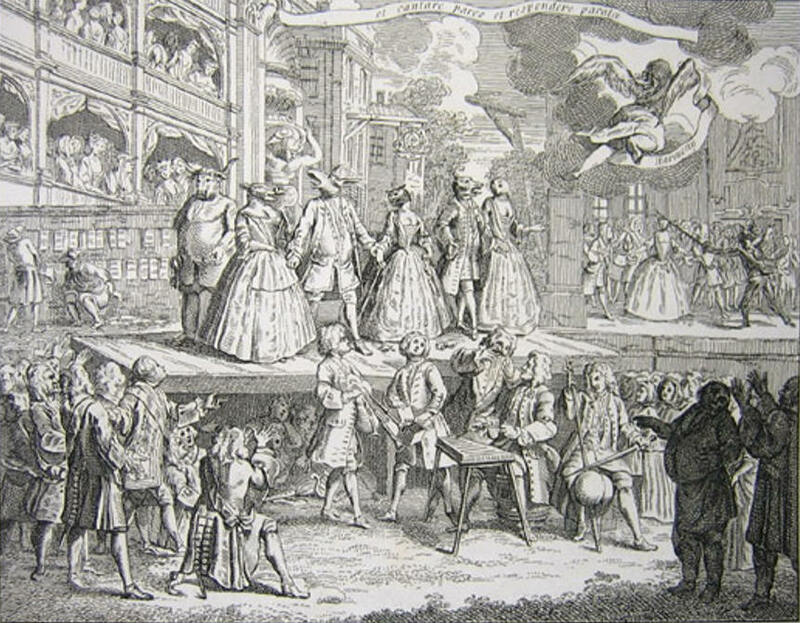 The trials of an 18th century balloonist. Not all of the Berlin Wall has come down. One celebrity that really is just a big ham. The grave of a medieval anchoress. The 19th century really did not like forgers. Software uncovers an alleged Shakespeare source. Los Angeles' Great Tin Can Feud. The last of the sea nomads. The strange tale of triplets separated at birth. The first color photos of post-earthquake San Francisco. The uses of an 18th century apron. Previously unknown ancient humans in the Americas. A review of a new book about one of my favorite historical figures, U.S. Grant. And here's a story about Mrs. Grant and Marie Dressler. Personally, I like carob, so there. While we count down the minutes to that post, here's Gordon Lightfoot. There is a farm in Burton, a village in the parish of Weobley, which Mr. Wm. Bridges, a linen draper of London, has in mortgage from one Thomas Tomkins, a decayed yeoman. This farm was taken in by lease by Mrs. Elizabeth Bridges about Michaelmas 1669. Soon after this tenant was entered on the farm, some Familiar began to act apish pranks, by knocking boldly at the door in the dark of the evening, and the like early in the morning, but nobody to be seen. The stools and forms were thrown into disorder, heaps of malt and vetches mingled, loaves of bread laid on a table carried into another room, and hid in tubs covered with cloths ; cabbage plants dug up and replanted in various patterns; a half-roasted pig demolished, except the bones; the milk turned sour with vinegar; some cattle died, and among others a sow leaped and danced in strange postures, and at last fell down dead; a loft of hay set on fire, a mow of pulse and pease likewise. After these fires one John Jones, a valiant Welshman, undertook to keep watch with a sword, a mastiff dog, and a lantern. 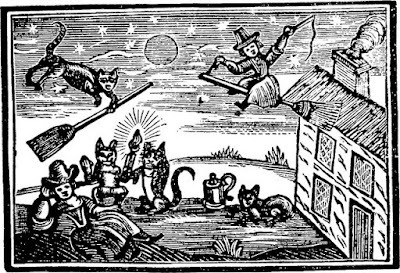 He had not long lain on the bed when he heard a knocking at the door, and, as he conceived, many cats came into his chamber, broke the windows, and made a hideous noise. The mastiff howled, the candle went out, the Welshman fell into a cold sweat, left his sword unused, and with much ado found the door, and ran half a mile without looking behind him; protesting next day he would not lie another night in the house for £100. This is all we know about the story, but if it fits the usual pattern of poltergeist cases, the disturbance soon ended as suddenly and mysteriously as it began. Although, with cats figuring in the story, you never know. That neighborhood may still be haunted yet. ...Oh, come on now. This is my blog we're talking about. Meet the Simmons family of Simmons Corners, Indiana, who win the Strange Company prize for Worst Picnic Ever. Sensibly enough, he declined to eat his sandwich. Not so sensibly, he omitted to tell anyone there of what he had found. Instead, he silently left the park and took the sandwich to a nearby doctor's office. The doctor treated the find rather casually. He did not bother testing the capsules. He simply shrugged and opined that they might contain quinine. Because, of course, quinine is such a common condiment for chicken sandwiches. The picnicker returned to the park, only to find that while he had been gone, others had also received capsule-laced sandwiches. However, these less fussy diners had opted to eat them, although they all noted that the food had a curiously bitter flavor. They very soon realized this was a bad move. These five people--Lester Carr, Horace Jackson, John W. Simmons, and John's two young daughters, Alice Jean and Virginia--quickly became seriously ill, and were taken to the hospital. The adults all survived, but by the end of the day, 10-year-old Alice and 14-year-old Virginia were both dead. The sandwiches were so toxic that birds who ate crumbs left from the food also perished. It was soon determined that the capsules had contained strychnine. Some pickled beets served at the picnic were found to also be sprinkled with the poison. But when was this food doctored, why was this done, and, most importantly, who wanted to wipe out the Simmons clan in such a cruel and seemingly indeterminate fashion? The first part of the above question was the only one that provided easy answers. The capsules could only have been added either when the sandwiches were first prepared, or when the Simmons family stopped en route to the park to visit with a distant relative, Isaac Pollard. During this stop, the car containing the sandwiches had been left unattended for about an hour. Curiously, only twelve of the eighteen sandwiches had been poisoned, making the act seem less like an attempted mass murder and more like a warped game of "Russian Roulette." And if you wished to poison someone, serving them capsule sandwiches seemed like an almost comically obvious way to go about it. It was looking like the murderer was not just a fiend, but also an idiot. As for who poisoned the sandwiches and beets, the obvious main suspect was the person who had prepared the food: John Simmons' wife, Carrie. Although she vehemently insisted that she was as mystified by the poisonings as anyone else, on July 3 she was indicted for the murder of her two daughters. Her trial opened on September 27. 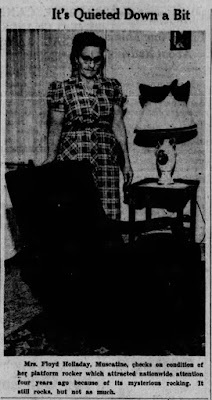 It soon became clear that the only reason Mrs. Simmons was charged with the crime was that the authorities could not find anyone else to blame. The fact that she had fixed the chicken sandwiches was literally the only evidence against her. Prosecutors were utterly unable to present the slightest reason why this seemingly sane, normal woman would want anyone, particularly her two little girls, to die an agonizing death. Carrie's surviving family members--her husband John and children Elizabeth, George, and Dale--all strenuously declared their belief in her complete innocence. An apparent bombshell moment came when a druggist named Charles Friedman testified that on June 18, he had sold Mrs. Simmons sixty grains of strychnine. Unfortunately for the prosecution, two days after Friedman told his story, a woman named Louise Robinson took the stand and asserted that Friedman had been mistaken. She herself had bought the strychnine on the day in question, not the defendant. When confronted with this witness, Friedman admitted his error. Some of the most valuable testimony came from a Mrs. Claude White. She was a stranger to the Simmons family, but the case so intrigued her that she decided to play detective. 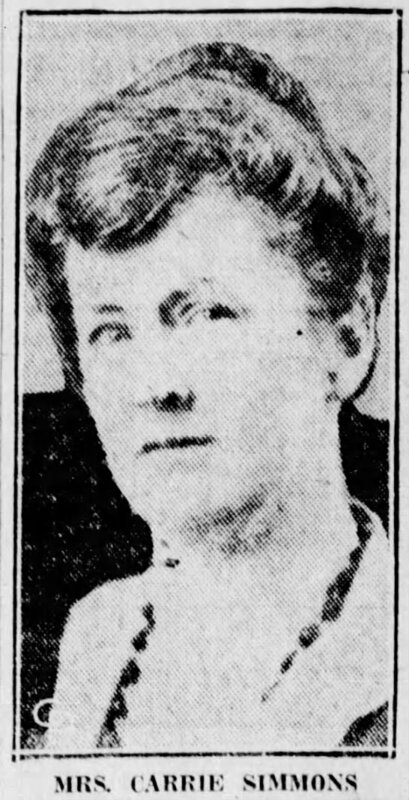 This Midwestern Marple fixed a bunch of chicken sandwiches that she liberally laced with strychnine capsules. She discovered that the capsules dissolved fairly quickly. However, the ones eaten at the picnic had been virtually intact. This suggested that the capsules had not been placed in the sandwiches when they were first prepared, but were added some considerable time later--most likely, when the Simmonses stopped over at the Pollard home. In short, although Carrie Simmons undoubtedly fixed the sandwiches, she was not necessarily the one who poisoned them. So, who else might have tampered with the food? No one had any idea. The jurors were faced with an unenviable dilemma. There was no proof that the defendant poisoned her family, but, on the other hand, there was nothing to actually vindicate her. The panel was left hopelessly deadlocked, voting eight to four for acquittal. 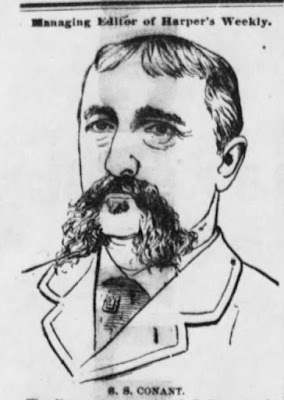 Afterward, some of the jurors said that while they didn't buy the suggestion made by the defense that Horace Jackson was the murderer, they also couldn't see Carrie Simmons as the killer. They simply had no idea who was the guilty party. The State brooded over the matter for a while, with the prosecuting attorneys finally deciding that a second trial would be a waste of time. In May 1933, all charges against Carrie Simmons were formally dropped. 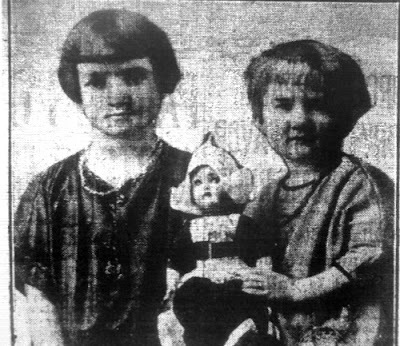 The mystery of who was responsible for the deaths of Alice and Virginia Simmons is still unsolved. Someone went to his or her grave with a very nasty secret on their conscience. This week's Link Dump is again sponsored by celebrity cats! How the hell did Robert E. Lee die? His earlobe may have the answer to that. Who the hell was Jack the Ripper? Yeah, they're still looking for the answer to that. Watch out for those Wild Hunts! Watch out for those Killer Clothes! The "Holy Grail" of dinosaur fossils. A duel with an unusually high body count. Lessons to be learned from monsters. Finally, a bottle of wine even I wouldn't drink. How to make your own intestinal cement. Assuming you have a yen for that sort of thing. Hey, who am I to judge? If I had to sit through a production of "Macbeth," I'd riot too. A Sunday in 1830s Paris. The Case of the Floating Landmark. The Case of the Suspicious Superintendent. An accused witch gets a rare happy ending. King Charles I can't say he didn't have fair warning. 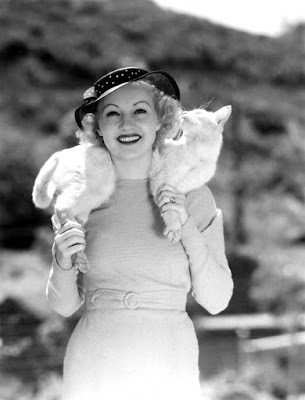 That time when cats were used as bustles. Yes, it's the Victorians. Yes, Victorians also built shrines to hair. Speaking of Victorians, let's talk a walk with the queen. The hazards of translating cucumbers. The cow that was born to be wild. Lucky and unlucky horses in the Civil War. Tolkien had a secret vice. Uh, it's not what you might think. The 18th century loved turbans. The life and death of a highwayman. When executions were a family affair. Life in a Mongol khan's court. The mysterious deaths at Fort Aubrey. A medieval Welsh woman's tragic life. When a child kills a child. This week in Russian Weird visits the coldest city on earth. And, of course, what would Russian Weird be without the Land of Cats? 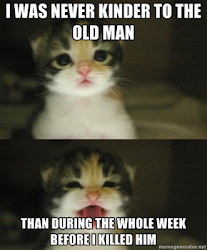 And that's that for this week! See you on Monday, when we'll discuss the hazards of family picnics. In the meantime, here's Doug Sahm.